Rapper Mac Miller Dies of Apparent Drug Overdose; He was 26. 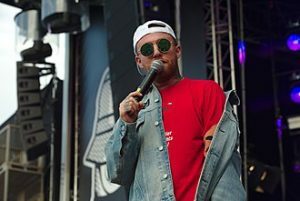 Rapper and producer Mac Miller, 26, has died. He had fame, legal issues, girl issues, and allegedly drug issues. While there is no confirmed cause of death, speculation by most media outlets is that it was likely a drug overdose. Miller died of an apparent drug overdose in his Studio City home on September 7, 2018; he was 26. He was found unresponsive around noon on Friday, after a ca ll was made by a male friend for an “immediate dispatch” for a patient in cardiac arrest, according to a 911 call obtained by The Blast. Miller was pronounced dead at the scene upon arrival of authorities. He was scheduled to shoot a video on the day of his death. – Lifted from Wikipedia. Photos courtesy of Wikipedia and Rolling Stone.